Daily Interest: How Much Does Interest Cost You Each Day? 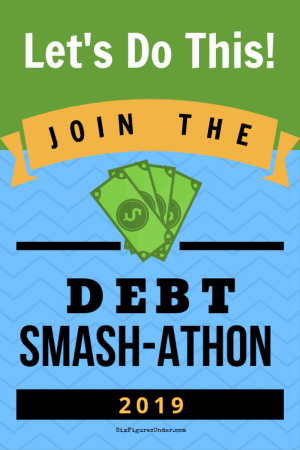 A few weeks ago, there was a discussion in our Facebook group: Making Frugality and Finance Fun about the cost of a day’s interest for your debt. It’s pretty eye-opening to calculate the amount of interest you accrue each day. If you (or your spouse) aren’t motivated to make headway on paying off your debt, breaking down the interest to a daily amount might be a great way to put it in perspective for you. I calculated how much interest our student loans would be gaining each day had we not made the choice to focus on paying them down. Just for the record, on our Income Based Repayment plan, we were not (and still aren’t) required to make any payment on lour loans because our income is low compared to our family size. It would have been really easy to ignore our loans. Of course, the loans still accrue interest even though we don’t have any payments due. It makes me sick to think that we were accruing over $700 a month in interest before we decided to crack down on our student loans and work our tails off to be debt-free. Much better! Of course I would much rather be keeping $13.82 in my pocket, but it’s a lot less than what it used to be. The simplest way to calculate your daily interest is to follow the formula I used above. Remember to use a decimal to represent your interest rate (6.55% = .0655). If you have multiple debts, calculate the daily rate for each of them and then add them up to find out how much interest you accrue each day. The good news is that if you are working to pay off your loans, the amount of interest you accrue each day is going down. If you are actively working to pay off your debts, you might want to re-calculate each month to see the amount of daily interest gradually go down! Thinking about your loans this way can either be really depressing or really motivating. If the thought of your daily interest accrual is going to send you into depression, don’t focus on it. Don’t let the thought of your daily interest make you feel helpless. Here are some tips for staying positive and motivated while paying off debt. The most important thing is to do something. If you haven’t started yet, it’s time to get started paying off your debt. If you feel like you don’t have room in your budget to make progress on your debt, I encourage you to work through the Frugal Fresh Start Challenge. You’ll find ways to cut expenses and budget better so that you can free up money to put toward your debt. Have you calculated your daily interest on your loans? How does knowing your daily interest affect your motivation? Wow- I also have substantial student loan debt and it never occurred to me that it was costing so much per DAY in interest! That’s insane! This is even more inspiration to pay them off ASAP! Thanks! Haha, right! They glossed over compounding interest but focused heavily on trigonometric ratios. I haven’t had to find sin of an angle since graduating. My student loans are almost paid off, but I decided to go back and see what I was paying a day before I decided to aggressively pay them down. Holy cow! $200/month! With that extra money I could buy a new outfit for all of us every month, or eat steak 3 times a week, or go out to dinner twice a month! That’s nuts!!!! I wish I had known that before! Thankfully, I’m deep into my debt repayment plan, and, after doing this calculation, I am accruing just $0.29 a day in interest between my various loans. I went back and looked though, and that is down from $2.04 a day! Wow, I knew interest was killing me, but until I did this, I didn’t realize how much. I’m so grateful I have been able to make so much progress. Here’s to meeting our financial goals!! I graduated from college in 2008. I borrowed $70,000 in private loans. The loans peaked 4 years ago. When I got serious about my debt repayment I owned over $127,000. I’m not sure what the interest was at the time, but I know that during the deferral period my interest was over $1,000 per month, somewhere around $38 per day. Thank you, variable interest. Now my balance is about $97,000 and I am paying $13.43 per day! Slow and steady. A few posts ago you talked about an excel sheet that you keep (to double check the loan websites, and to maintain your own records) – would you ever consider sharing that worksheet/template? I did this not so long ago, but I was excited to do it again: a total of about $9.27 per day – way better than what it was before, but still not great! I’m currently paying $15.55/day in interest on $87,000. It’s down from about what you were paying in the beginning. If all goes well, we will be down to $3.56 at the end of this year. I’ll be so happy when they are gone. Calculating the interest is something that I do pretty much every time I make a payment. It also ensures that I put any extra money during the month to the loan I’m targeting as quickly as I know that money is not earmarked for anything. I don’t calculate my daily interest rate on my loans, but it sure is nice when I make a car payment and see how much is going to principal versus the interest. It sure is nice seeing the amount towards interest go down! This is THE best tool to truly understand the impact of interest and boost your motivation. At my highest I was paying $10 per day. It’s now down to about $6, but I still hate it. Such a motivator! One way I like to think about it is in terms of how things will be once you pay off the debt. For instance, once that money is invested, you’ll see statements from your brokerage saying you earned “x” amount that month in interest, dividends or appreciation, and that will be “x” dollars you earned without having to lift a finger. Interest cuts both ways, and for those brave enough to embark on this adventure, at some point the scales will tilt and you’ll be collecting interest instead of paying it. What a great way to visualize interest! We now only pay a dollar a day(exactly). But just one year ago we were at $15.37 per day, yikes! It’s nice to see how far we’ve come. OMG I just made myself sick on the stomach, I had never thought about debt this way and it was an eye opener. We have just started paying down on our debt and with everything including house we are at $73.46 per day in interest. I don’t want to think about what it was before we just paid off $10,000 worth of credit card debt. I guess like Dave Ramsey says we are too normal with all our debt going for weird now. Thanks for all your post you are such an inspiration to me and I love reading your blog. You and your husband are sharing great things and really making me think about money in a different way. I found you at thrifty Thursday and I love this! It’s so easy to just take the monthly payment and think of that number only. Once you dig deeper, you start to realize that you don;t have to live with that monthly payment. This is a scary, but effective calculation to do. We are in the same boat as you where we are not actually required to pay anything on the loans right now, but interest still accrues. I didn’t realize that you could sign up for automatic bank withdrawal on the $0 payment!! I’m going to be doing that immediately!!!! Thanks so much for the inadvertent tip! WOW! I thought this exercise was interesting, but not really relevant to us since I worked so hard to get rid of any interest we had on credit cards. Then I actually tallied it. $28/day! That’s insane! Most of this is from our mortgage with a few dollars a day for student loans. I’ve never really thought about the mortgage interest this way before. Oh, what we could do with $28/day! Thank you for this post! This has been truly motivational for me after all! How exactly did you sign up for automatic withdrawal? We have Nelnet for our loans (all Federal loans) and they would not let me sign up for automatic debit when we have no payment due (we are also on low income repayment with a base amount of $0). I have been reading your blog for a while but just came across this post and I am so glad I did. The line in parentheses about signing up for automatic payment of your 0$ payment and lowering your interest level- GENIUS! I would have never have thought of that!! First thing on my to do list for tomorrow now!